What if you could do this without physically visiting the site? What if you could do this from the comfort of your office, from your laptop, from your smartphone? ICT products offer this flexibility.One of the key advantages of wireless broadband – providing high-bandwidth internet access to remote customers – can also present challenges, especially when a remote site experiences a technical issue. This often necessitates a visit to the site by a technician to troubleshoot the problem. In some instances, the issue can be resolved simply by power cycling power to a troublesome device. 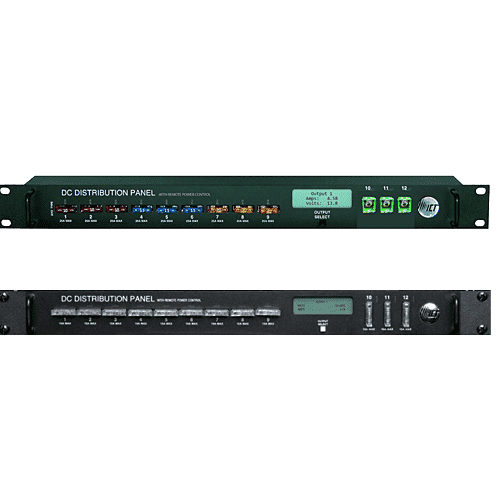 Ethernet communication options, which allow users to remotely monitor DC power conditions at a site, and if needed, remotely power cycle the connected devices. ICT products also allow you to disconnect non-critical devices in order to preserve battery life in the event of an AC mains failure. All this can be done manually via a desktop PC, laptop or smartphone, or can be preconfigured to occur automatically based on parameters you set. No additional software is required, just a standard web browser. And should any alarm condition occur at your site, such as a low battery voltage, for example, ICT products can notify you by sending a text message or email to you directly. Minimize your downtime, reduce costly site visits, and have peace of mind in knowing what DC power conditions exist at your site. ICT products provide tremendous features to benefit you, your business, and most importantly, your customers.